Is your third party policy board and examiner ready? 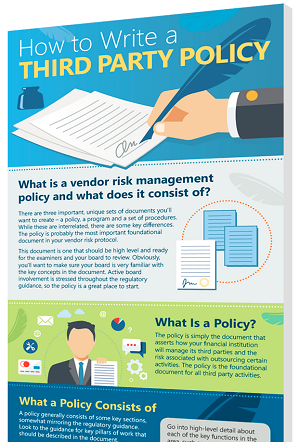 Your policy is one of the most important documents to your vendor risk management program. In our newest infographic, we go through what it should contain and how to write it.